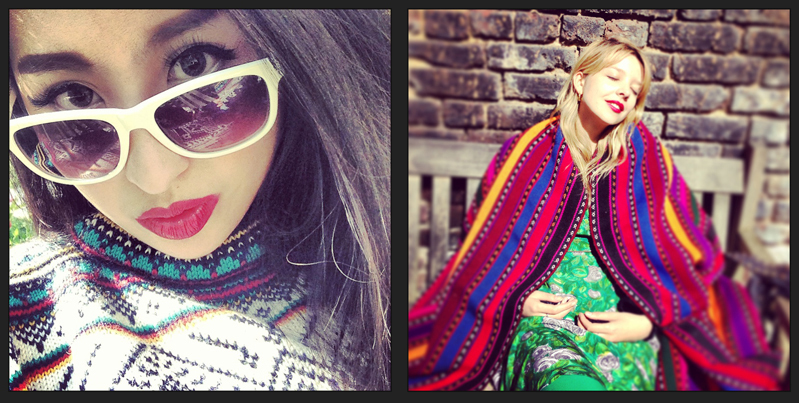 I've literally gone back to my roots. After 4 different hair colours in 6 months---strawberry blonde (fine, ginger), red, brown, light brown---I've gone back to black. Well...nearly. ...I love Amber's Shanghai Tang dress. Not many people can rock the orange like that...! ST's modern shapes were all very good; I do love modern interpretations and the whole East-meets-West vibe, but I'm here to examine what ST does that quite no one else can offer---traditional Chinese tailoring. It's a dying art; all the artisans are getting on in age and to maintain one's heritage, one needs the younger generation to inherit the skills of the one before. As the proverb goes, 长江后浪推前浪 (The Changjiang River waves behind drive the waves ahead)---each generation excels the next. Beautiful wedding cheongsams and qipaos...certainly when I get married I am having in a Shanghai themed wedding dinner not unlike Michiekin's. Like my Mormon ex said about us Chinese in our tight cheongsams, "Whoa, I like your traditions. They're HOT." We were schooled on silks, lining, embroidery, and the process from selecting materials to fitting to completion. There is nothing like a made to measure cheongsam...it is the most personal thing in the world; every last detail down to the buttons, the seductive walk one sways in because of the snug hips, how high the slit crawls up ones thigh, these are all of ones own design. And for the gentlemen, or more specifically the noble work-from-home breed, there are always the silk robes and the velvet slippers. After all, one can't answer the door in tatty old coffee stained pyjamas. 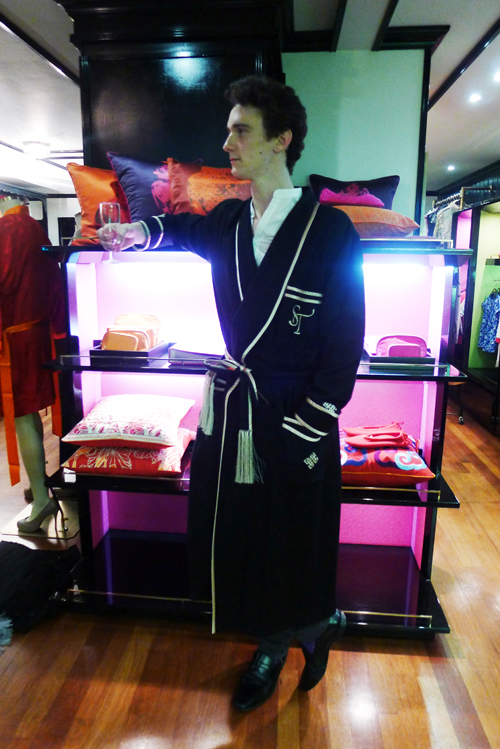 It's all about the silk robe, brandy in one hand, the other hand typing away. As for my home, I'd love to dress my apartment with ST's pop art-like plates and coasters...in fact I'm considering redesigning my bedroom to look more Oriental and less Gothic. Max seem surprised, skeptical even when I told him about the long-standing belief that jade bangles protect their wearers. I've had TWO jade bangles break on me which means that I've been saved, twice. Max is convinced I'm just clumsy, but I'm adamantly superstitious. 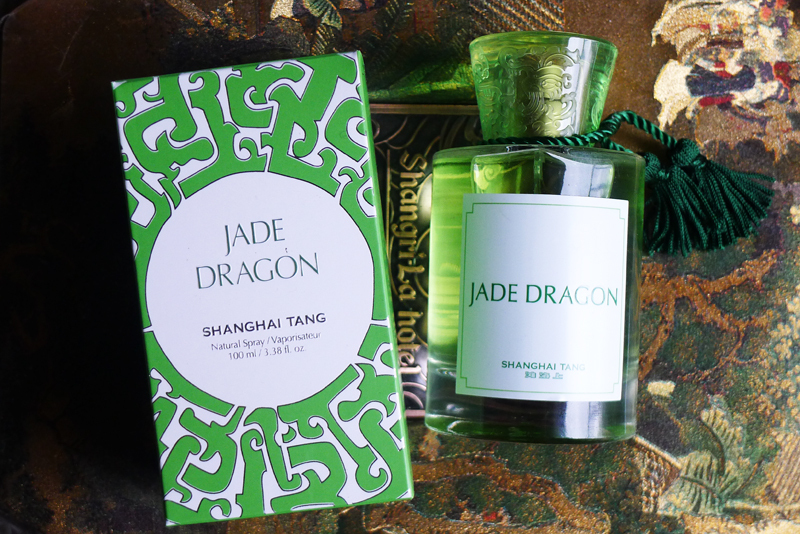 But when we were gifted these Jade Dragon fragrances he declared "How fortuitous! This perfume will protect me in Kabul!" And this is why he is my honorary Chinese brother. 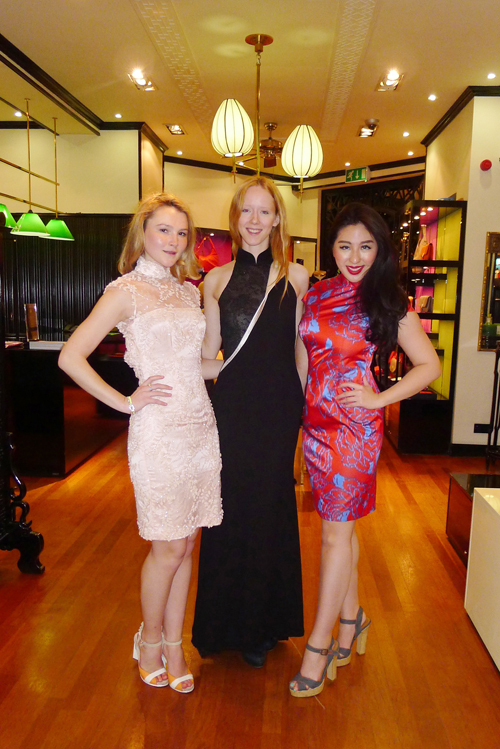 Learn more about Imperial Tailoring at Shanghai Tang. Peruse their website at your leisure with a nice hot cup of Chinese tea (as I do). 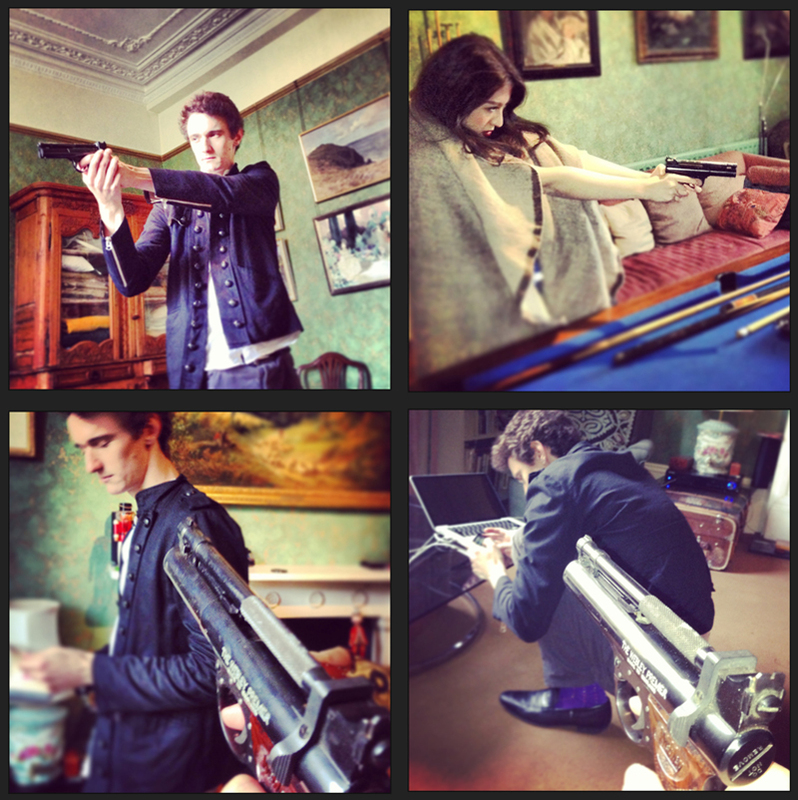 ...and afterward, Max and I tried to shatter the empty bottles with his air gun. I asked him nicely if I could shoot him instead, but he said no. Maybe if he was wearing a jade bangle? On that note, I really must have more cheongsams made. And when I have my Chinese wedding dinner one can expect my wedding gown to be a Shanghai Tang cheongsam.